Comikaze is back at the LA Convention Center this weekend! If you want to learn about writing great video games, come on down for a panel with some awesome video game writers, and I’m not just talking about me 😉 The panel title is more than a prescription for creating great games — we’ll be discussing our own narrative toolbox. Join me, Chris Avellone, Haris Orkin, and Karen Strassman this Saturday to learn it all! Or as much as we can get through in an hour! Chris Avellone, Pillars of Eternity, Fallout: New Vegas. It’s here! 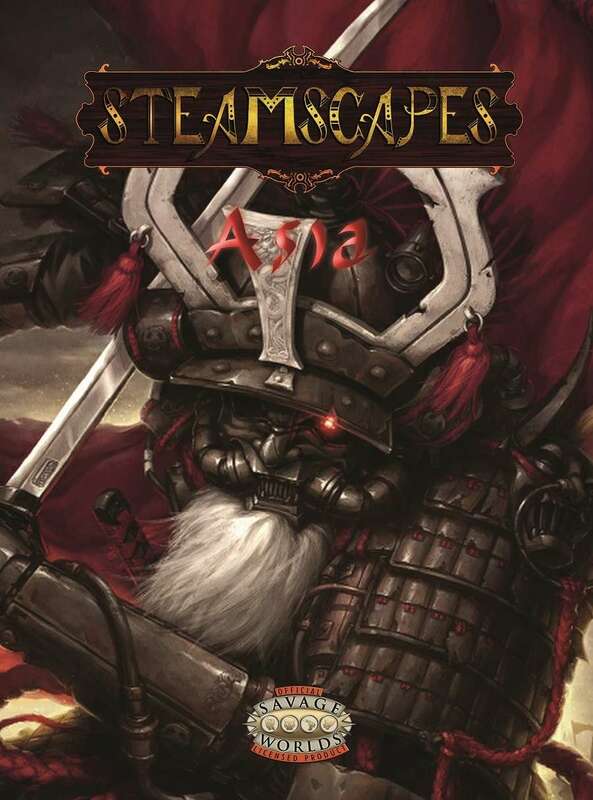 If you like your Steampunk RPGs, but are a bit bored with 19th century Europe or North America, then take a peek at Steamscapes: Asia! This new setting explores Asia in the Steamscapes universe, using the Savage Worlds system. North America is still run by the British — but what does that mean for India, China and Burma? And why do I mention Burma, besides their being awesome? I wrote the background setting for Burma and an adventure that just might involve an automaton and an airship. The book also includes new classes, new martial arts rules, and a bunch of new equipment. For more information on Steamscapes North America and Asia, visit the Steamscapes site! You can enjoy the digital version of Steamscapes: Asia right now and get the print version in January. Can’t wait to hold it in my hands!